Fire departments across the country need your help. Every year fire departments in the United States respond to more than 350,000 home fires, resulting in numerous injuries and deaths. In some cases, we see fire-related injuries that might have been prevented if the victims had received fire safety tips, installed working smoke alarms or practiced an escape plan. In many cases, a fire department’s first line of protection is educating the community. Each year, during Fire Prevention Week (Oct. 7-13, 2012), many local firefighters will be reaching out to the community with trainings for young children, the elderly and others. But with tight municipal budgets, the supply of the materials they use in these trainings is at risk. With the help of an online tool, fire departments are now able to invite others to purchase materials they need. Reaching kids and parents through these programs is critical, especially for volunteer fire departments, smaller departments and those located in more rural areas of the country. To combat this problem, the National Fire Protection Association (NFPA) has created an online tool to help community members, businesses and others purchase materials for local departments’ fire education programs. This tool is called Sparky’s Wish List™ and it works a lot like a modern bridal registry. Fire departments register for the items they need (like DVDs, posters, stickers, etc. ), and others go online to make the purchases. The materials ship directly to the fire departments. 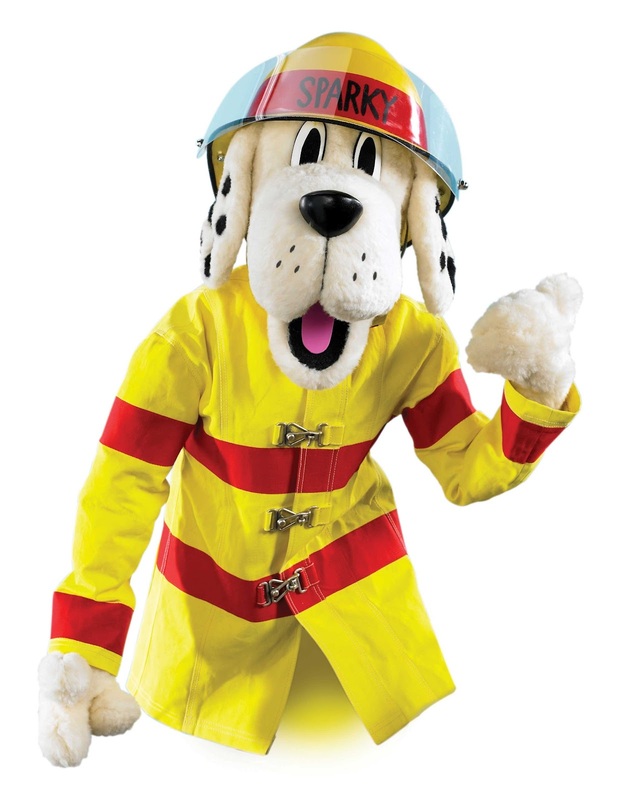 In short, fire prevention education saves lives. Educational materials are essential for fire departments to spread their message of safety to classrooms and beyond, and this registry enables community members to come to the aid of fire departments asking for help. On behalf of NFPA, we urge your participation, and thank you for your support. For more information, including how to help, visit www.sparkyswishlist.org/give. This is a guest post, no compensation was received. When I was Young... I Wanted to be Barbie. MAM Perfect Pacifiers are... well, PERFECT! New Moms MUST have a Boba! Eating like a Princess with Nuby!